WASHINGTON DC: Cultivating New Frontiers in Agriculture (CNFA), an international development organization, welcomed His Excellency Levan Davitashvili, Minister of Agriculture of Georgia, to Washington, D.C., to meet with CNFA senior management and participate in an informal commemoration of CNFA’s decade of contributions to agricultural development initiatives in that nation. 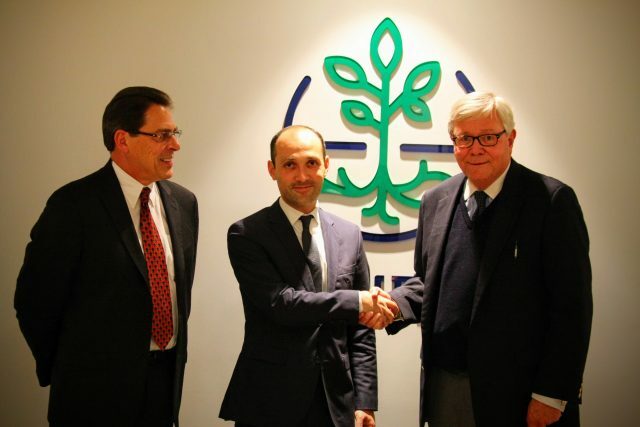 “We were honored to have this opportunity to welcome Minister Davitashvili, and to convey our sincere desire to continue to pursue goals of mutual interest as we expand our mission to create successful agricultural enterprises and foster economic growth in Georgia,” said CNFA Europe Chairman and Founder of CNFA John H. Costello. Mr. Costello and other members of CNFA’s Board of Directors, in June of this year, traveled to Georgia to mark the organization’s 10th anniversary in the country by visiting CNFA-supported Farm and Machinery Service Centers and by hosting a Conference and Grantee Fair at Expo Georgia in Tbilisi. During that trip, Georgia’s President Giorgi Margvelashvili awarded Mr. Costello the nation’s highest honor for non-Georgian citizens, the Order of the Golden Fleece, in recognition of his leadership of CNFA’s service to the Georgian people. Last week, at the 19th Annual Conference of the America Georgia Business Council (AGBC) attended by Minister Davitashvili, Mr. Costello and other CNFA officers, AGBC President Mamuka Tsereteli once again recognized Mr. Costello for the award. Mr. Costello credited CNFA’s Georgian partners for their role in advancing the organization’s initiatives. CNFA has completed five projects in Georgia, including four USAID-funded initiatives—the Georgia Agricultural Risk Reduction Program, which impacted the needs of roughly 40,000 farm families and internally displaced persons in their recovery from the economic impact of conflict, the Farmer-to-Farmer Program, the Access to Mechanization Project, and the agricultural component of the Economic Prosperity Initiative; the Millennium Challenge Corporation funded the Agribusiness Development Activity. 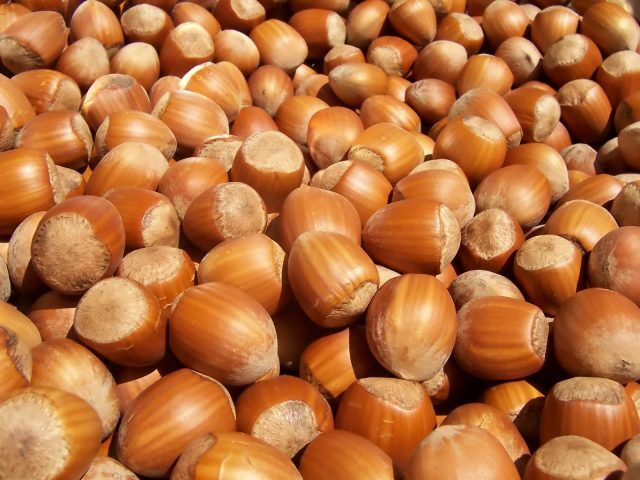 Four other initiatives are currently ongoing, including the Georgia Hazelnut Improvement Project, the Rural Economic Development Program, Restoring Efficiency to Agriculture Production Project, and a program promoting EU DCFTA Standards within Georgian Agriculture. In total, these diverse initiatives have supported more than 430 Georgian agribusinesses and provided technical and professional development to over 140,000 individuals. About CNFA: Cultivating New Frontiers in Agriculture, an international development organization, specializes in designing sustainable, market-led agricultural initiatives. CNFA builds strong local and global partnerships, incorporates innovative approaches in its programs, and fosters inclusive development to offer enhanced opportunities to under-served groups. Since 1985, CNFA has managed more than $600 million in donor-funded agriculture development programs and has worked in 44 countries across the world in Africa, Eastern Europe, Latina America and the Caribbean, the Middle East, and South and Central Asia.